Gardeners in cold climates never know what to expect during the winter. We may have snow, we may have unusually warm conditions, too much precipitation or not enough. Chances are good we'll have a mixed bag of weather and while we huddle indoors by the fire, our plants have to take it on the chin. Even if you strictly adhere to buying only plants that are hardy in your zone, there's no guarantee nature will stick to the agreement. So it helps to have some tricks in your bag to protect your special plants and those that are marginally hardy. Some garden plants are perfectly happy to be brought indoors and grown as houseplants. They can handle the drier winter conditions and most even enjoy the cooler temperatures. You may have to test out the best spot for sun exposure since winter sunlight isn't very intense. But bringing in a coleus or fuchsia is a nice reminder of the garden that was and the one that will be. One of the biggest winter headaches is what to do with potted containers. Plants that are at least 2 zones hardier than your growing zone should be able to survive the winter outdoors in containers. You may need to provide some extra insulation and be certain your container is made from a frost tolerant material. Read on for some suggestions for good insulation. Roses always seem to come through winter with a little damage. Sometimes they refuse to go dormant and are hard hit by frost. Or maybe black spot or chafers stick around for the winter, to get an early start in the spring. Many roses are grafted onto root stock and need a little extra protection to prevent the graft from winter injury. These 8 tips will help your roses batten down for winter and survive intact until spring. Summer blooming bulbs require so little care during the growing season, they are hard to resist. Who doesn't love a little touch of the tropics in their garden? Unfortunately, when you don't actually live in the tropics, you can't just leave the bulbs in the ground over winter. Well, you could, but they wouldn't survive. If you want to grow your cannas, dahlias and elephant ears again next season, they will need to be dug and stored. I don't know what it is about geraniums, but gardeners love to store them over-winter. They are very easy to bring indoors. If you have enough sunlight, you can even let them grow as houseplants, on a windowsill. However, it is easy enough to store them dormant, until they are ready to go back outdoors in the spring. Here are several methods to try. They label them "hardy" mums, but more of them are tossed in the compost than make it through the winter. The mums that spring up in garden centers in the fall have been treated and forced, to look picture perfect in your fall displays. They can survive the winter, but they'll need a little TLC. There are also many other types of mums you can grow in your garden, that are truly hardy and indifferent to winter. You might want to try both. What's a water garden without water lilies? There are water lilies that are hardy down to USDA Zone 3. They can be left in the water, provided there is enough depth for them not to freeze. Tropical water lilies and hardy plants in shallow water will need to be brought inside. It can be a little messy, but you'll be ahead of the game if you want to divide them in the spring. If space is an issue, but you still want to save some plants for next year, consider taking some cuttings of your existing plants. They will start out small and grow slowly, at first. 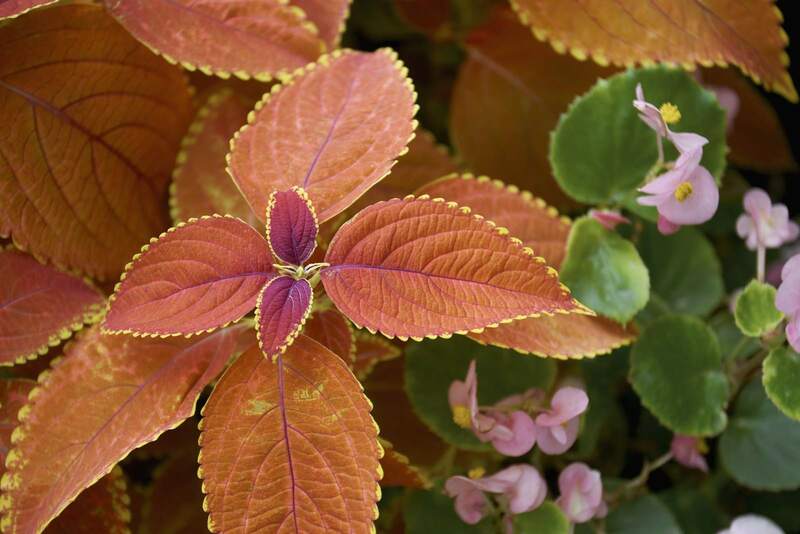 But if you have a favorite begonia, plectranthus or coleus and you want to make sure you have it again next year, cuttings are an easy, inexpensive way to create more plants. It may sound like wasted effort to mulch in the winter, but this is a different type of mulching. Rather than suppressing weeds and conserving water. Winter mulching isn't used to keep the ground warm, it's meant to keep the ground frozen. Frozen ground won't kill hardy plants, but repeated freezing and thawing will. The expanding and contracting of the soil can push plants right out of the ground. A layer of snow is excellent winter mulch for plants. But if there is no snow, here are some other ideas for insulating your plants. Need Some Spring Flowers Right Now? How to Force Flowering Bulbs.